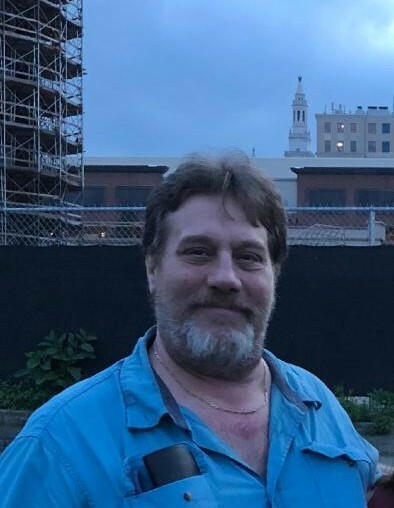 Springfield-Benjamin A. Auld, 60, passed away November 14, 2018. He was born in Wichita, Kansas to Robert J. and Amalia J. (Lawrence) Auld. He was a graduate of Chicopee High School and for many years was a Real Estate Appraiser for area companies. Ben was a 3rd degree Knight for the Knights of Columbus. He enjoyed fishing, boating, listening to music and playing his guitar. He also loved his dog Amy. Ben leaves his children; Benjamin K. Auld of W. Springfield, Rebecca L. (Auld) Morris and her husband Jason of Agawam, Jeffrey R. Auld (Nicole Vickers) of W. Springfield, and Gregory L. Auld of Pittsfield, MA; his Mother Amalia J. Auld of Hernando, FL; brothers, John Auld, Kevin Auld (Theresa) and Michael Auld (Lisa) all of Florida; three grandchildren, Katheryn Morris, Jaclyn Morris and Aubrey Auld as well as 17 nieces and nephews. Ben was predeceased by his father Robert J. Auld. Visiting hours will be held Saturday, December 8, 2018 from 11am-1pm with a prayer service concluding the afternoon at 1pm at Lombard Funeral Home 3 Bridge St. Monson. MA. Burial will be private. In lieu of flowers memorial contributions may be made to TJ O'Connor Animal Control & Adoption Center 627 Cottage St. Springfield, MA 01104.